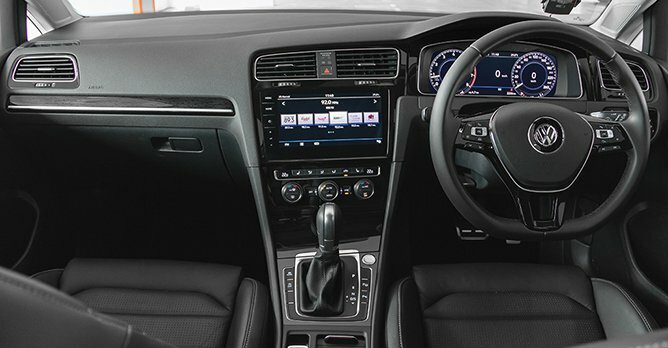 The Peugeot 308 SW is more affordable and a little more spacious but the Volkswagen Golf Variant's technologically-advanced cabin and better ride is hard to ignore. Stationwagons, or estates, whichever you prefer terming them, haven't had much success on our shores. Despite being the go-to family vehicle for Europeans for decades, us Asians have always had an aversion to them, due to their resemblance to hearses. But should we really let our outdated superstitions get in the way of practicality? 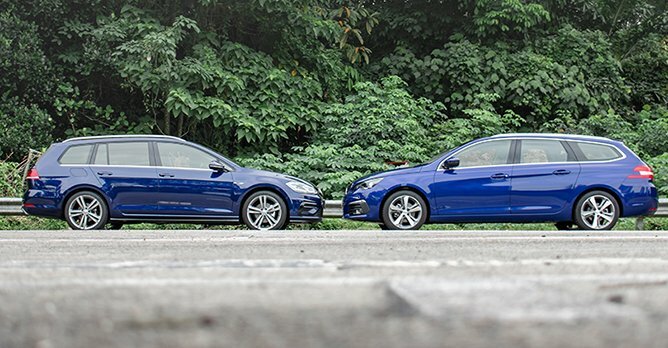 We think not, especially when the latest crop of wagons available are more stylish than their hatchback siblings. Two of our favourites so far remain the Volkswagen Golf Variant, which has recently been refreshed, and its stylish French rival, the Peugeot 308 SW. So if you're a forward-thinker who's looking for a good-looking European people carrier, the question, then, is - which of these two should you get? If you're someone who likes going against the norm (you must be, since you're considering a wagon) and standing out from the crowd, you might prefer the 308 SW for several reasons. One of which is the way its cabin has been styled, which is entirely unconventional compared to the Golf Variant's teutonic approach. In the 308, the instrument cluster sits atop the dash, instead of in it, which is cool even if it does take some getting used to. There's also a much cleaner design inside the 308 SW, which does away with most of the conventional buttons on the centre console. That form, however, has a slight functional disadvantage as conducting simple actions like adjusting the air-conditioning settings. On the other hand, the Golf Variant's sharper, albeilt smaller-sized 9.2-inch Discover Pro infotainment has a more intuitive interface. Coupled with its 12.3-inch high-resolution, digital Active Info Display cluster, it offers a more technologically advanced experience, even if its overall cabin design isn't as avant garde. 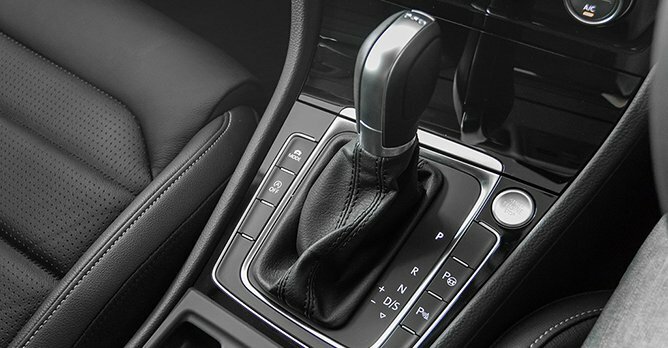 At $129,900 (as of 15 November 2018), the extra $20,901 for the Golf Variant also gets you more cubbyholes, an electrically adjusted driver's seat, paddle shifters and rear air-conditioning. Both cars are equipped with Apple CarPlay and Android Auto connectivity. Alas, while both cars do offer enough space for a family of five, the 308's larger size and longer wheelbase do mean there is a tad more rom for those riding at the back. 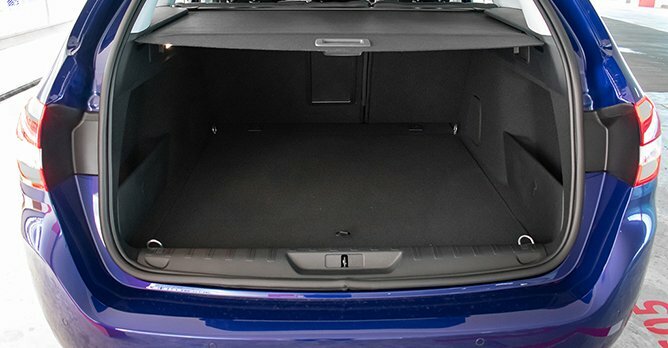 It also has a larger 660-litre boot with the rear seats up, outsizing the Golf's 605 litres. Still, unless you're a fairly large person, which most of us Asians aren't, there is enough room in the Golf to feel comfortable on long drives. 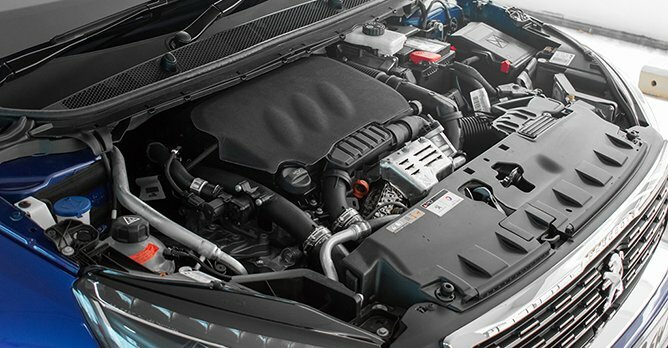 It comes as quite a surprise that the Golf Variant, as the car with one more cylinder and a larger 1.4-litre engine, has a lower power output. Its turbocharged four-banger churns 123bhp and 200Nm of torque while the 308 SW's boost three-cylinder makes 129bhp and 230Nm of torque. Thankfully, with an extra gear and closer gear ratios to help with acceleration and top speed, the Golf Variant is quicker in a straight line to 100km/h, taking 9.5 seconds. The 308 SW trails behind slightly, with a century sprint timing of 10.7 seconds. In terms of ride quality, the Golf Variant is slightly plusher and more settled over bumps and ruts. But if you prefer a car that offers quicker direction changes and a meatier steering, the 308 SW feels like the sportier one to have. Sounds like a tie, then? The 308 SW is the more emotional purchase, with its design and the way it drives. 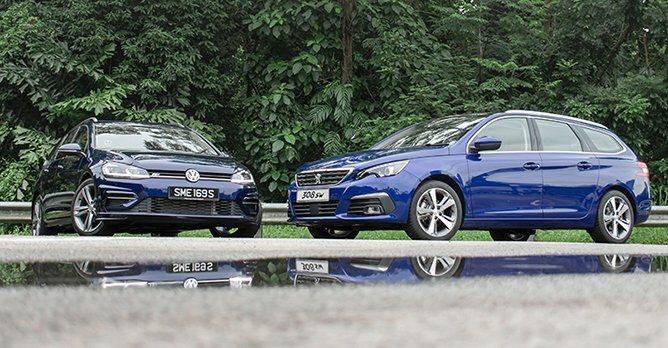 Yet, it also offers a little more room all around with a lower $108,999 (as of 15 November 2018) price tag and a cheaper annual road tax of $508 versus the Golf Variant's $624. As always, the Golf Variant has a lot to lose going up against a competitor as strong as this Peugeot. And this time, the 308 SW is seemingly the one that offers more bang for buck. But if you are a sucker for digitally-advanced cabins, better ride quality, lighter-footed performance and that aggressive R-Line kit, you'll have to be prepared to pay the premium for the Golf Variant. Either way, these two prove that before you jump on a deal for a sport utility vehicle, you should first give wagons a second look.